We don’t recommend putting multiple pads on a mattress. If your innerspring mattress is so hard that you don’t think a 3″ memory foam mattress topper pad will do the trick, you really are better off buying a new mattress than getting 2 of our pads. The problem is that memory foam is a soft material, and you would just sink in so deep with 6″ that you wouldn’t be comfortable. A Three inch thick memory foam mattress pad is really the thickest we recommend. If, however, you had the opposite problem – your mattress is has dips or is too soft or sinky – then we wouldn’t recommend getting a memory foam mattress topper pad at all. The memory foam mattress topper pad would just make the bed even softer and more uncomfortable. There really isn’t any add on that can save your bed if it has dips or is just too soft – at this point you really need to start looking at new mattresses. 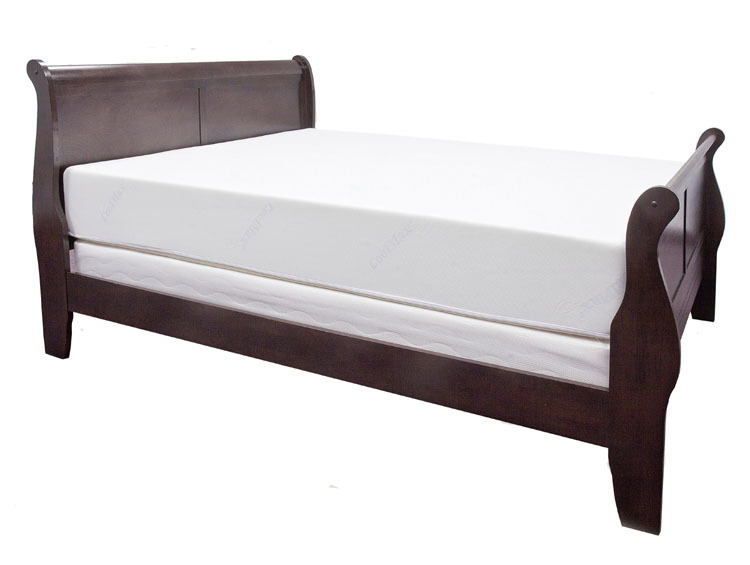 Next Next post: Can You Use a Slatted Frame With Our Memory Foam Mattress?